Got a chocolate lover in your life? 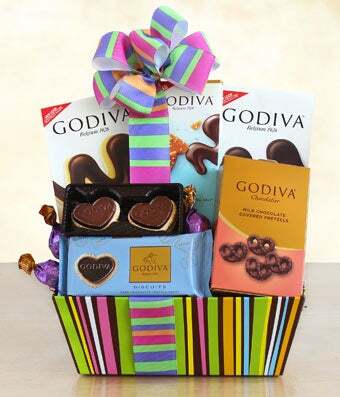 This Godiva gift basket is the perfect gift and will make your recipient melt with joy at all the goodness that is included. Delivered in a decorative box that makes for a festive display.